I recently came across a client that had issues accessing new Items, Customers, and Vendors. The issue wound up being relatively simple; it was because when these things were setup in Dynamics GP, the Entity Relationship in Multi Entity Management was not setup. 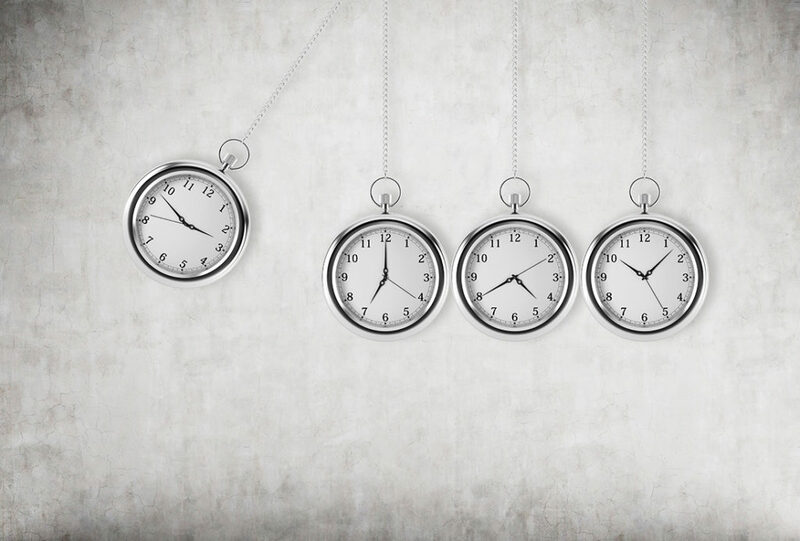 If you use multiple companies in Dynamics GP, Multi-Entity Management (MEM) enables real-time reporting across all of your entities without the need for spreadsheets or an external reporting system and the staff required to build reports. Simply put, MEM gathers all Microsoft Dynamics financial information in a single database, which is simpler and faster to create consolidated reports across all companies while still maintaining individual sets of financial statements. You are easily able to drill down to the transactions in the individual business unit using your standard Dynamics GP reports. Even if you prefer to use third-party reporting BI tools, MEM makes this easier too because you only need to connect to a single data source. 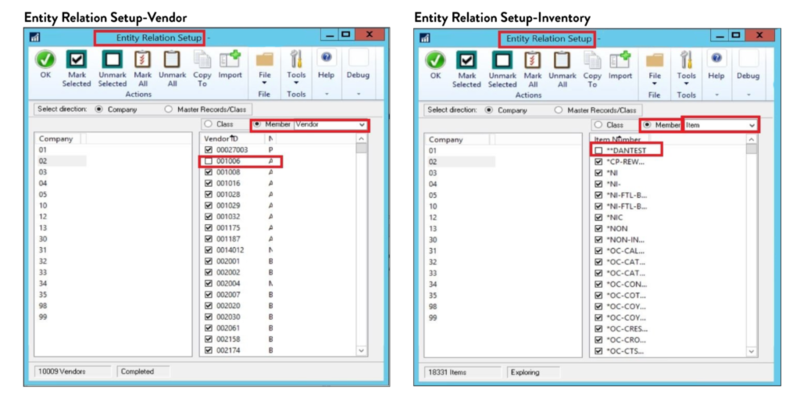 There’s just 1 extra step involved when setting up new vendors, customers, and items in Dynamics GP when you use MEM. You can’t forget to add them to the company you want to use them in. Here are a few examples. 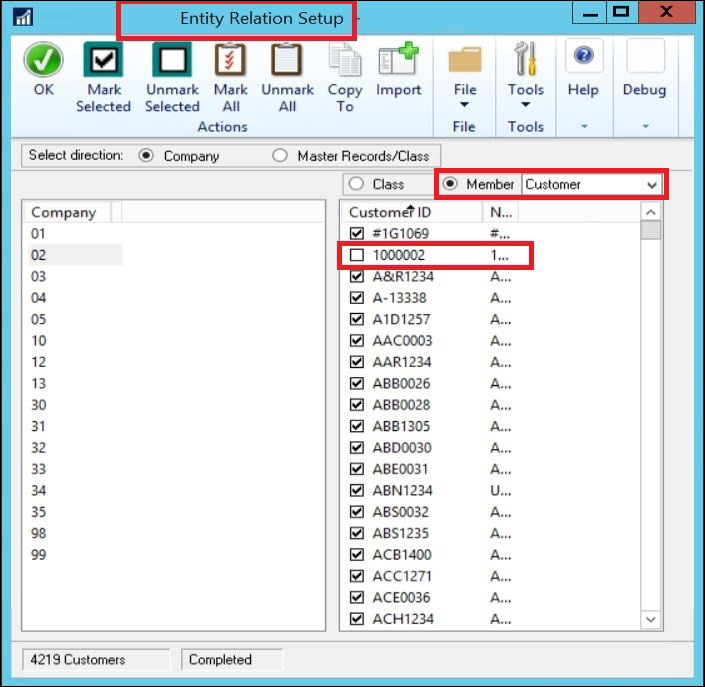 Once you set up a new customer, you will need to go into the Entity Relation Setup area. First, choose the Member = Customer and make sure to add the new customer to each company you want it in. Customer # 1000002 is not added to Company #02 in this example. You will need to “Mark Selected” and click on OK at the top. If you want to add the customer to other companies, repeat the same process. Select the company number in the left column and add the customer to it. Next, change the Member dropdown list to be either Vendor or Item, whichever you want to work with. In the Vendor and Item examples, the same concept applies. Make sure to add the vendor and/or item to each company on the left you need it in. Again, select the company and then “Mark Selected” and click OK on the top. You might need to do this multiple times. For more great tips and tricks when using Microsoft Dynamics GP, subscribe to our blog.